CHILDREN AND YOUYH FESTIVAL-CONTEST "PRAGUE COLOURS"
Arrival on Friday July 2016 . 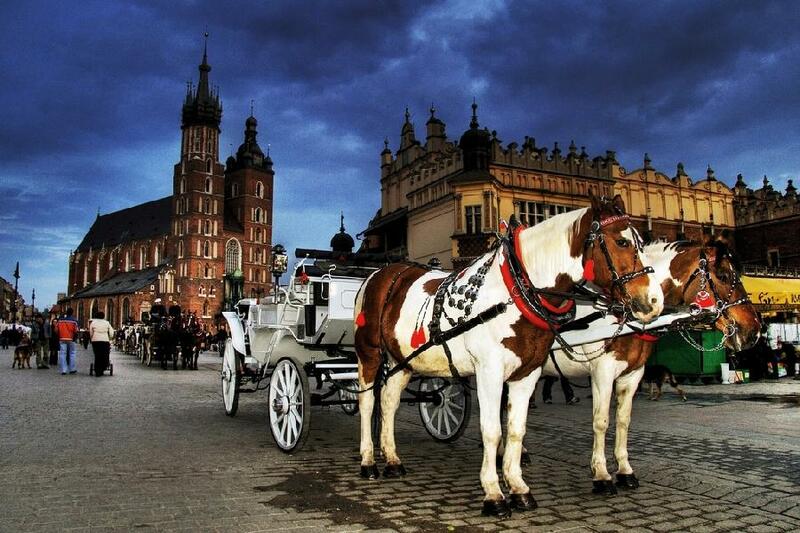 15.07.2016 Breakfast, Visit of the cıty, Rynek Glowny,Brama Florınska,Krakow Barbıan, Bazylika Mariacka, Lunch at the Hotel Opening the ceremony of the Festıval.Performances of the Groups,Dınner..Free tıme. 16.07.2016 Breakfast, Visit of the Aushwitz Camp, Lunch at the hotel.. Performances of the groups..Dınner and Party..
17.07.2016 Breakfast, departure of the groups..
- Any group should be paid advance of %40 of total sum on account of organizers untıl 15th of January 2016 The rest of money, %60 should be paid after the group arrıved. In case of cancellatıon, advance will be not refund. 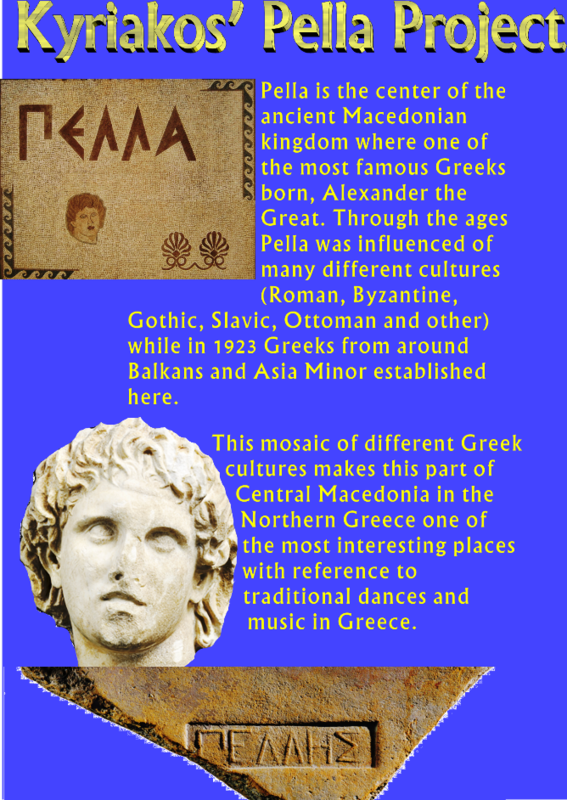 Pella is the center of the ancient Macedonian kingdom where one of the most famous Greeks born, Alexander the Great. 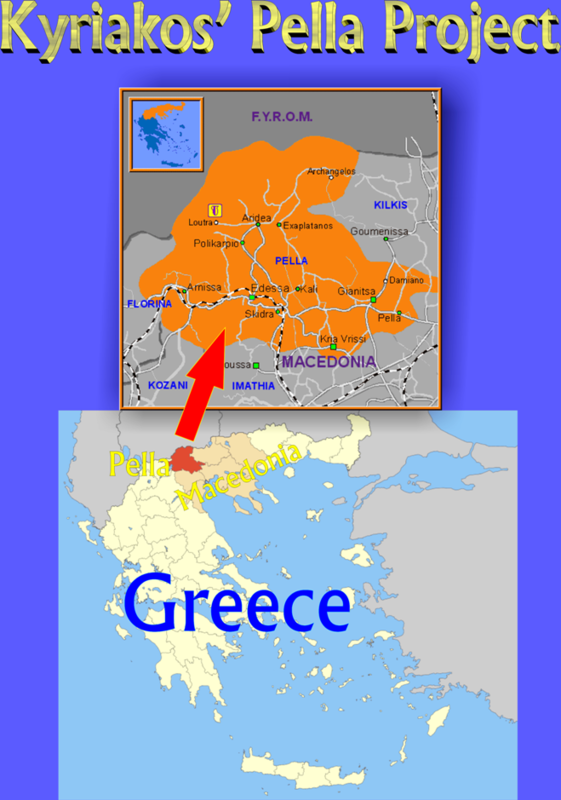 Through the ages Pella was influenced of many different cultures (Roman, Byzantine, Gothic, Slavic, Ottoman and other) while in 1923 Greeks from around Balkans and Asia Minor established here. 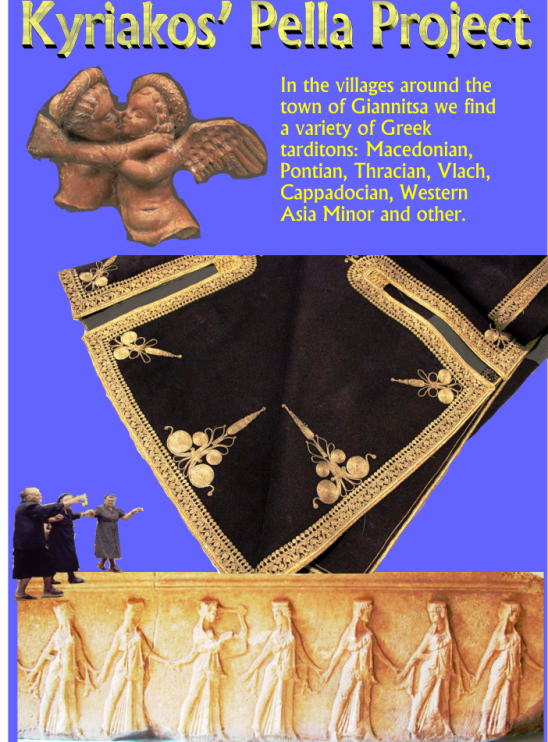 This mosaic of different Greek cultures makes this part of Central Macedonia in the Northern Greece one of the most interesting places with reference to traditional dances and music in Greece. All land transportation relevant to and during the Pella Project will be for free. Breakfast and dinner will be offered. 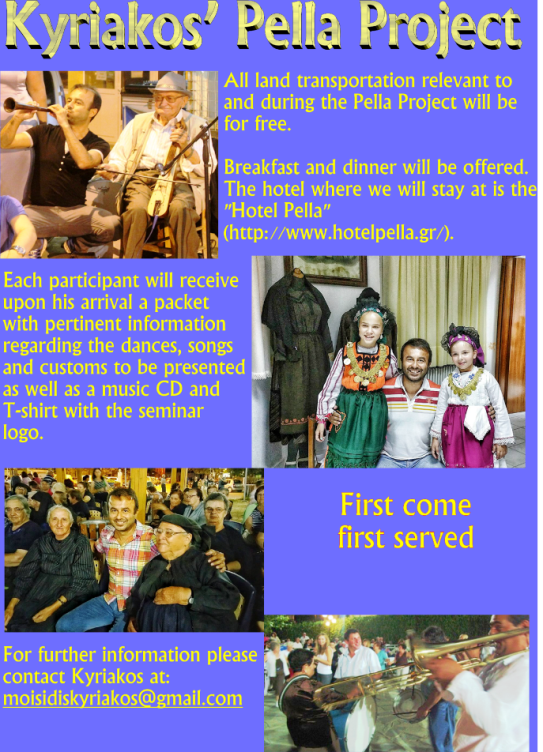 The hotel where we will stay at is the "Hotel Pella" (http://www.hotelpella.gr/). 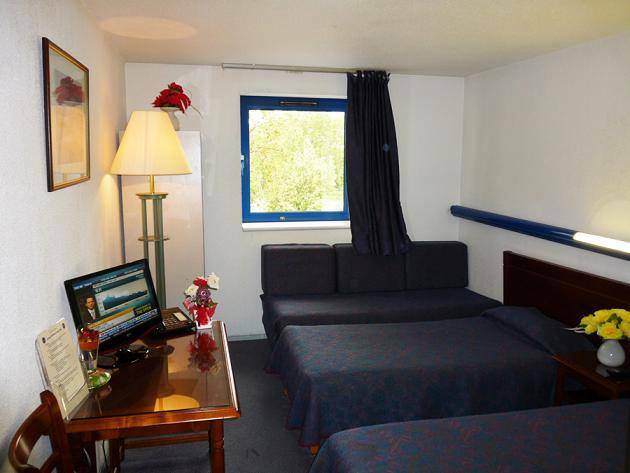 July 22th Free day for sightseeing ,we suggest you visit the Eiffel Tower, the Opera, Avenue de Champs Elysees, Arc de Triomphe, Disneyland and many other attractions...!! 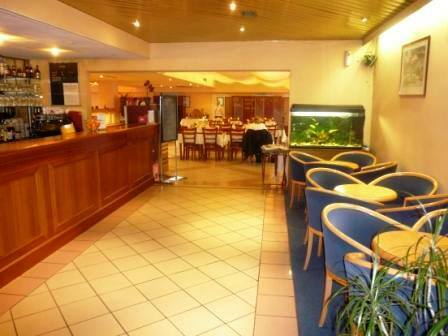 July 23th After the breakfast all groups will go to MİLLY-LA-FORET for parade and performance..
Hotel – Parıs (tour Eıffel) 22 km. 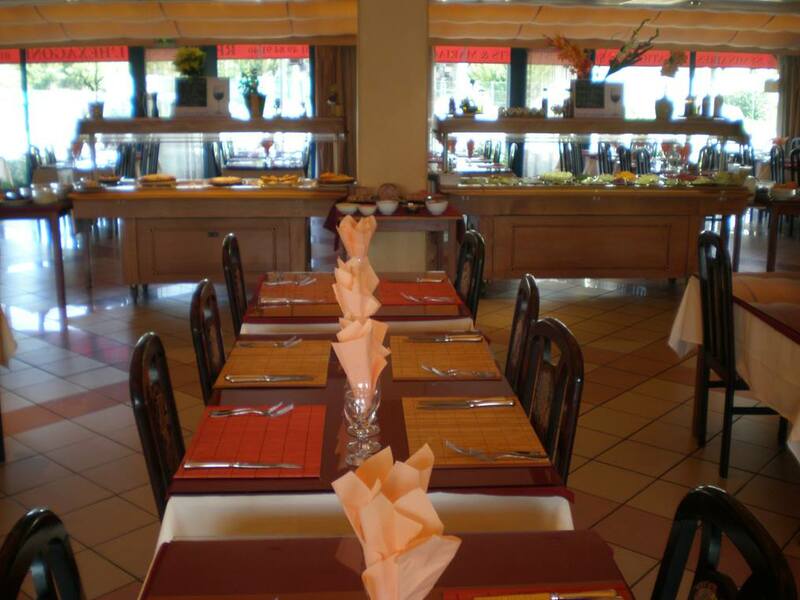 Hotel – Milly La – Foret (performance please) 32 km. - 50 litres of diesel oil will be given Them by the comm. Each group will have a stand to sell their cultural souvenırs on their performance days. LIVE YOUR PASSION -DANCE- IN CRETE, THE MOST BEAUTIFUL ISLAND OF MEDITTERANEAN SEA, LIVE WITH THE LOCALS EVERY NIGHT IN THE LOCAL FEASTS AS ALSO HAVE THE CHANCE TO VISIT BALOS LAGOON (REACHED ONLY BY BOAT), A TRADITIONAL CRETAN WEDDING AND THE FAMOUS PERFORMANCES OF "YAKINTHIA" AT ANOGIA. DANCE TEACHERS:Mary Markaki, Apostolis Takis, Alexandros Karatzoglou, (...Thracian..? ), and 3 local Cretan dancers in order to show us their own style per area (Kissamos, Rethymnon, Lassithi). 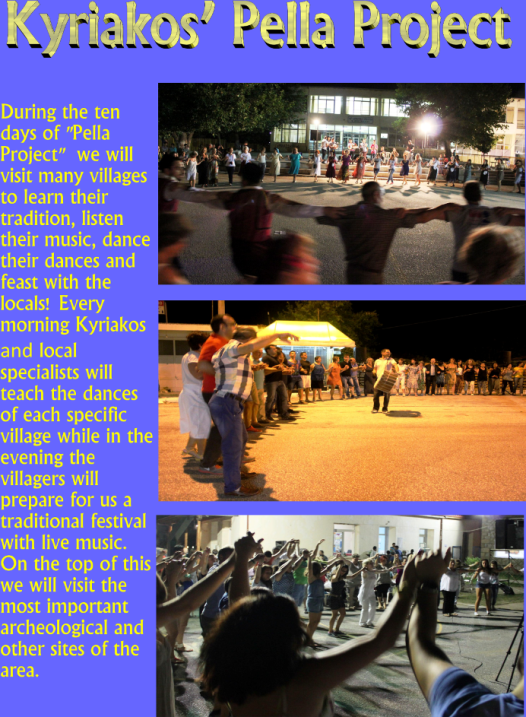 DANCE PROGRAM; Cretan dances + specific hours practicing the improvisation, Thessaly, Islands of Aegean + focus in Sporades and Ionion Sea, Macedonia & specifially Drama, Thrace and Asia Minor. 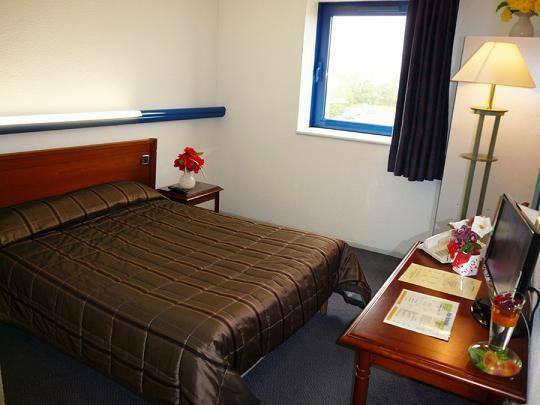 REGISTER BEFORE END OF MAY AS CRETE IS THE MOST POPULAR SUMMER DESTINATION AND YOU SHOULD BOOK FLIGHTS AND RESERVE ROOMS. Berovo - Macedonia . Highlight : Festival in village VLADIMIROVO 31 July 1&2 August with famous musician brass bands ,singers & dancers. Welcome to Macedonia to all.... world wide.